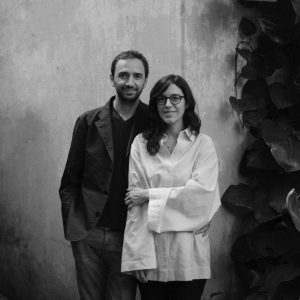 AMBROSI ETCHEGARAY is an art and architecture studio established in Mexico City in 2011 by Jorge Ambrosi and Gabriela Etchegaray. Were appointed curators for the Mexican Pavilion at the 2018 Biennale di Venezia and awarded first place for the construction of the FICA Pavilion 2016 located in the central square of Mexico City. They were selected by the Architectural League of New York with the recognition of Emerging Voices 2015 and they have both been invited to national and international schools of architecture as critics and lecturers. They teach a Summer Studio for the AAD program and a Fall Studio for the M. Arch, both at GSAPP, Columbia University.